Mental health issues have been ignored and overlooked with specific emphasis on the proportion of women population belonging to the aboriginal community (Acharya et al., 2017). Mental health issues have been perceived with a stigmatized belief by the members within the community. In accordance to the evidences revealed by the research studies, a major gap has been detected in the quality of healthcare facilities provided to the aboriginal and the non –aboriginal proportion of the Australian population. In order to address the gap, the Australian government has undertaken steps to introduce a reform in the structure and quality of health care services offered to the people. As per the NMBA code of conduct, Principle 3.3, mentions that nursing professionals must commit to maintaining an efficient flow of communication. The communication skills must be maintained in a clear and articulate manner between colleagues so as to meet the privacy requirements and serve the patient in a better manner (Chiarella & Adrian, 2014). Nursing professionals strictly adhere to the NMBA code of conduct while delivering care. While dealing with Aboriginal and Torres Strait Islander patients, it is extremely important for the nursing professional to be culturally competent while devising interventions. Research papers have stated that the aboriginal set of population hesitate to utilize the medical health facilities on account of stigmatized beliefs of the healthcare professionals. In order to reform the scenario, it is pivotal to impart training so as to ensure cultural competency among the care givers dealing with the patients (Turong et al., 2014). The training in cultural safety includes consideration of elements such as age, gender, ethnic background, religious and health values. It should be noted here that medical issues in aboriginal women have revolved around physical health of women, comprising reproductive health and child health and wellness. Issues regarding women’s mental health have not been much researched upon. However, mental disorders such as stress, depression and trauma have been most common in aboriginal women. In this context, it can be said that literary evidences reveal poor experiences of aboriginal women on account of compromised cultural safety, ineffective tone of language and improper service deliver. Further mental health issues are looked down within the aboriginal community and seclusion is often considered as an option for women (Krimayer et al., 2013). Hence, it can be concluded that there is an increasing need to reform the standard of medical health services provided to the members of the aboriginal community with respect to ensuring cultural safety and positive patient outcome. Mental health nursing considerations must involve a smooth flow of communication between the patient and the nursing professional and the team of caregivers responsible for assisting the patient (Fortinash & Worret, 2014). It should be noted here that maintenance of a smooth communication style is important so as to ensure a patient centered holistic treatment and avoidance of any medical error. In addition to effective communication it is also important to educate the patient and the concerned family members about the medical health condition and the rationale behind implementing the treatment procedure. 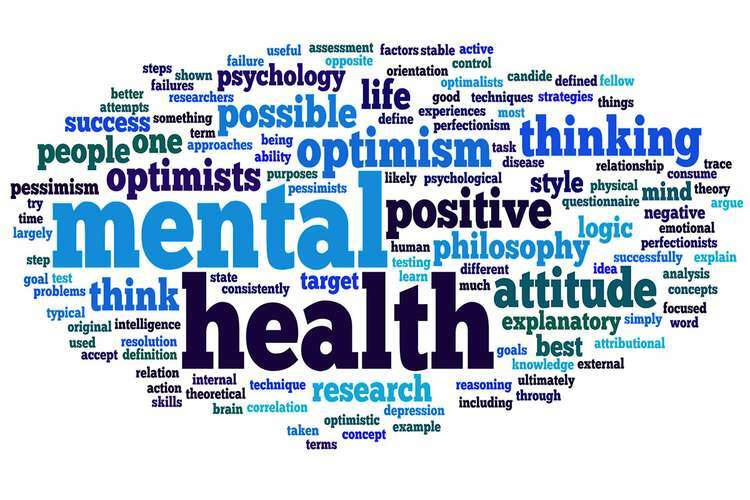 Also, it is important to spread awareness about mental health well-being within the community so as to educate the community members about the seriousness of the implication of disease if left untreated. Further, imparting training with respect to incorporating cultural competence in professional practice is expected to help the care givers in providing culturally safe interventions and achieve positive patient outcomes (Herring et al., 2013). The National Mental Health Consumer and Career Forum (NMHCCF) aims to assist the consumers with mental health issues and assist them to take ownership of the problem and involve them in equal partnership so as to deliver a holistic recovery (Clifford et al., 2015). Further, it can be recommended that in order to provide a holistic improvement it is necessary for the care givers to work in collaboration with the physical health and activities of daily living. The care givers engaged in the treatment process would be respectful towards the patients and patiently address the concerns by building a therapeutic relationship. Initiatives to create awareness using effective community programs can effectively help in making the community service members aware about the intervention facilities available and the government aid schemes that could be used in order to upgrade the quality of services offered to the aboriginal community. healthcare service delivery in low-resource settings: developing an innovative network in rural Nepal. Globalization and health, 13(1), 2. 2. Chiarella, M., & Adrian, A. (2014). Boundary violations, gender and the nature of nursing work. Nursing ethics, 21(3), 267-277. 3. Clifford, A., McCalman, J., Bainbridge, R., & Tsey, K. (2015). Interventions to improve cultural competency in health care for Indigenous peoples of Australia, New Zealand, Canada and the USA: a systematic review. International Journal for Quality in Health Care, 27(2), 89-98. 5. Herring, S., Spangaro, J., Lauw, M., & McNamara, L. (2013). The intersection of trauma, racism, and cultural competence in effective work with aboriginal people: Waiting for trust. Australian Social Work, 66(1), 104-117. 6. Kirmayer, L. J., Guzder, J., & Rousseau, C. (Eds.). (2013). Cultural consultation: Encountering the other in mental health care. Springer Science & Business Media. 7. Truong, M., Paradies, Y., & Priest, N. (2014). Interventions to improve cultural competency in healthcare: a systematic review of reviews. BMC health services research, 14(1), 99.